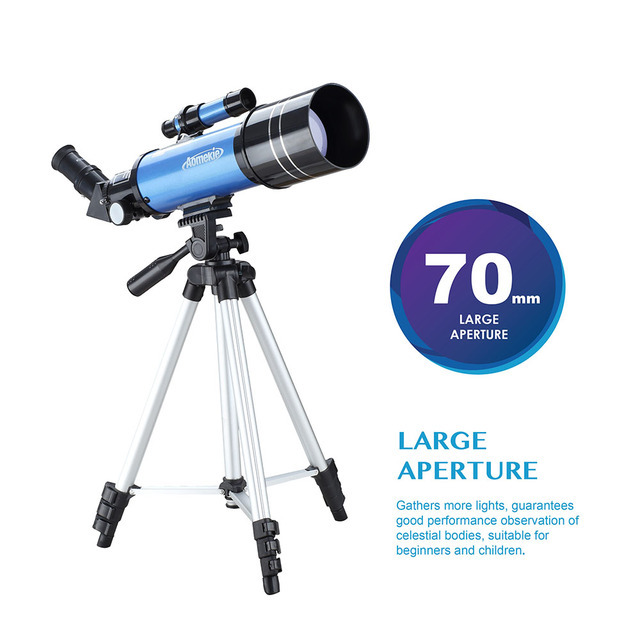 70mm Telescope: With 400mm focal length, This refractor telescope has a larger magnification and a more stable multiplier. 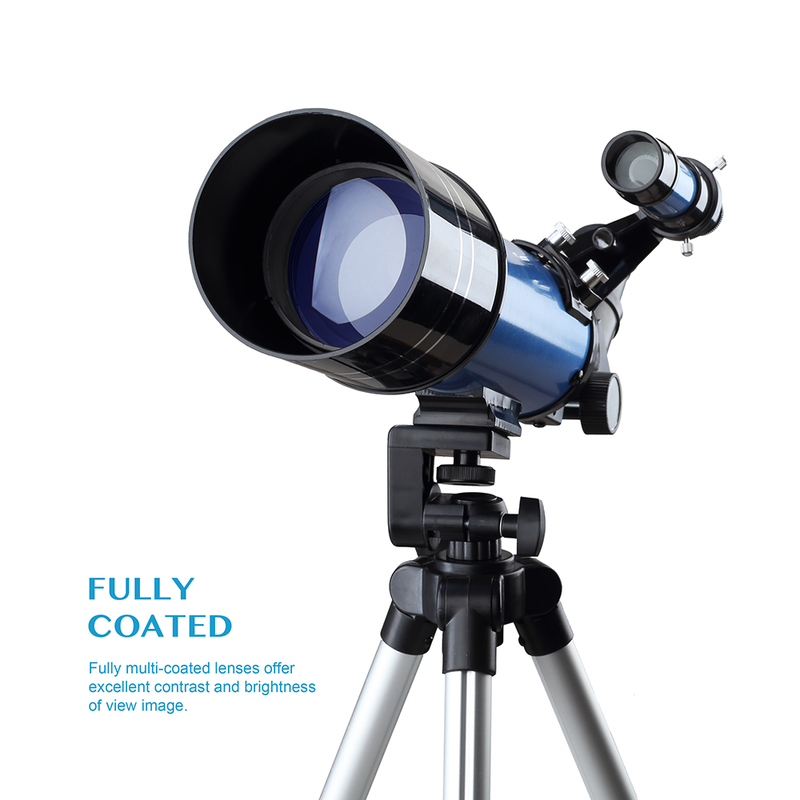 70mm Large aperture objective lens makes the images brighter and clearer, achieve large field of view. Fully multi-coated lens offer excellent contrast and brightness of view image to protect your eyes. 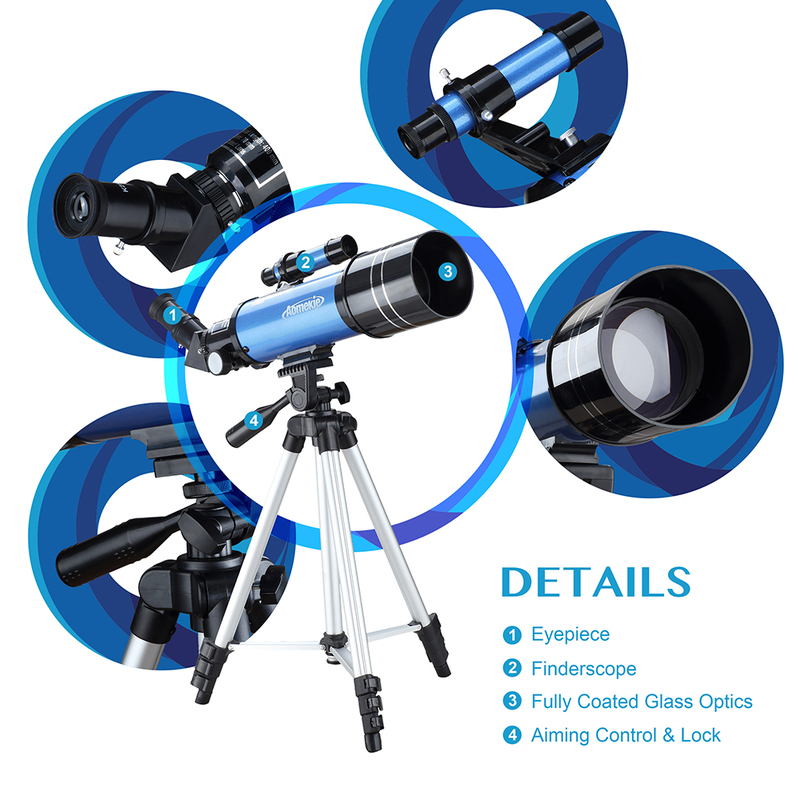 A fantastic telescopios astronomicos for kids adults and astronomy beginners to explore the space.5X24 finderscope with mounting bracket, erect-image diagonal make locating objects more easily. 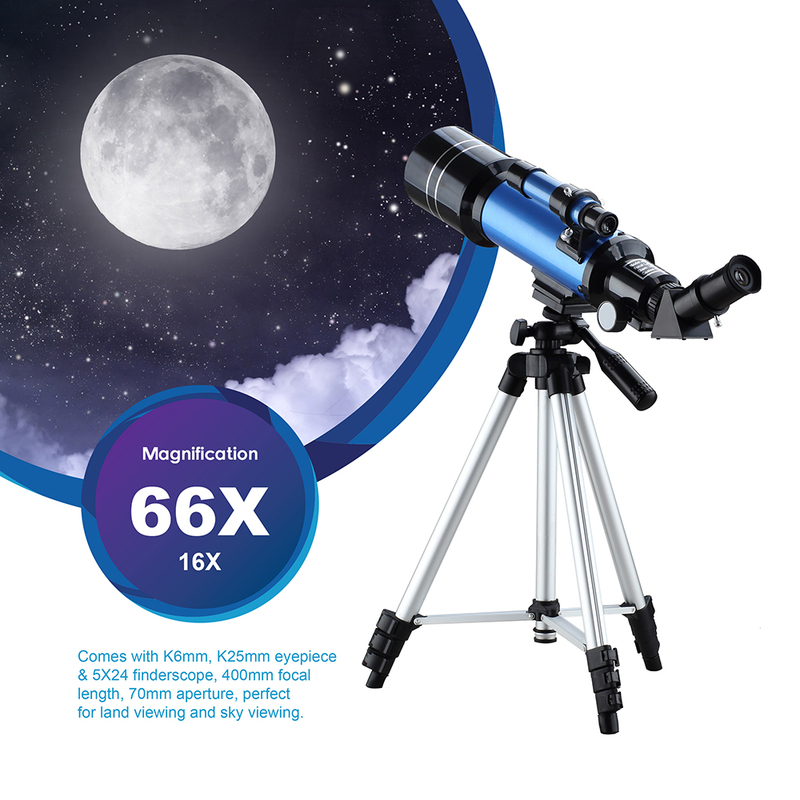 Come with K6 K25 eyepiece and metal moon filter , which is the latest generation of Kellner eyepiece(K) in this astronomical telescope.The field of vision is bigger and brighter. The telescope itself has the function of focusing light, so when observing the high brightness full moon with the telescope, it is difficult for you to see the surface of the moon, and even cause damage to the eyes. So add a moon filter to reduce the brightness. 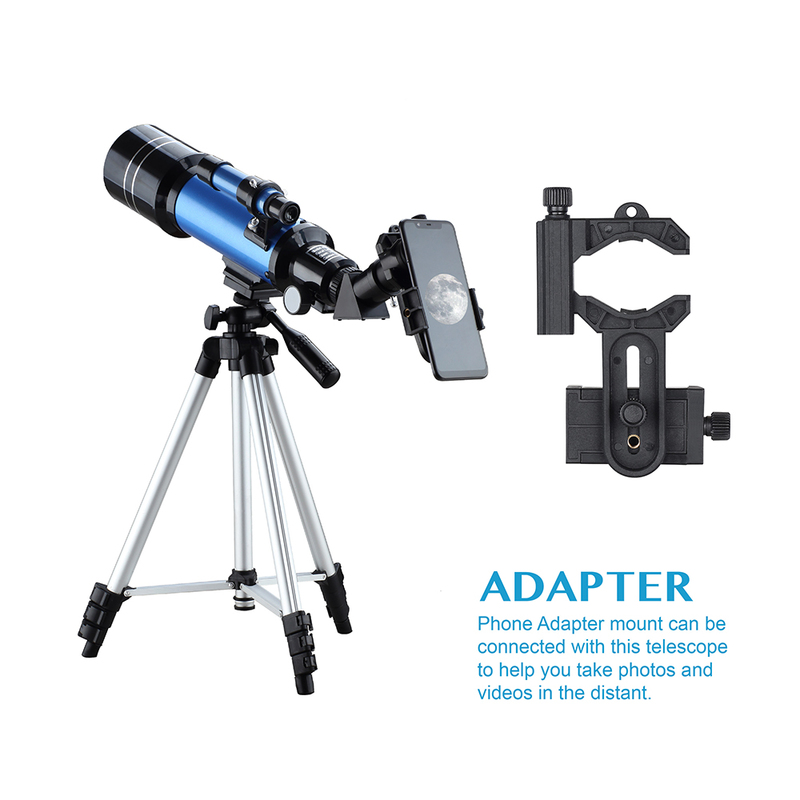 Accessories: Phone adapter make it easily to observe and share with cellphone. 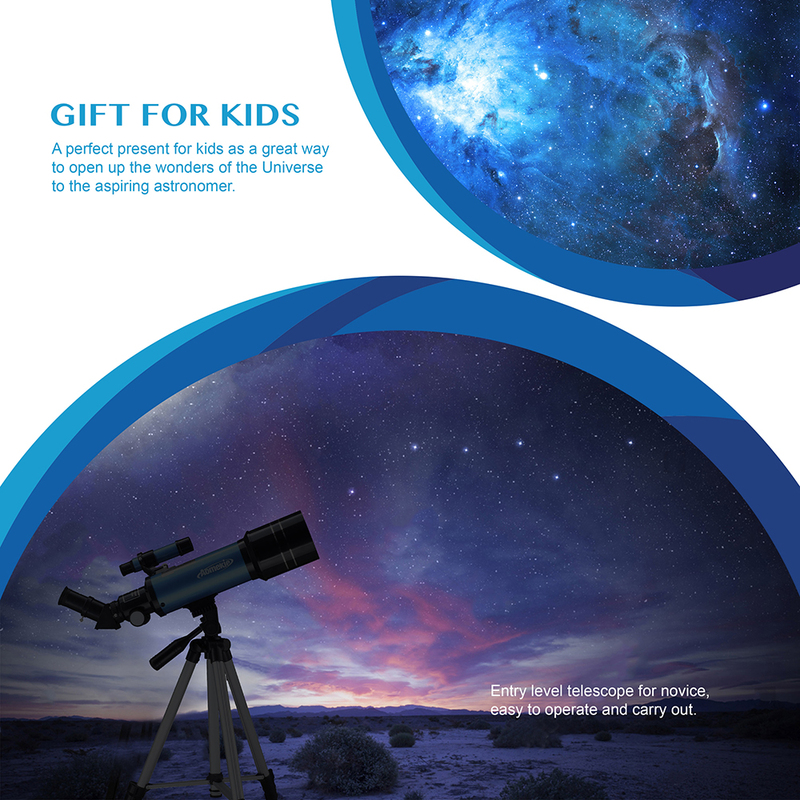 And the Star target planisphere helps you to know various stars. 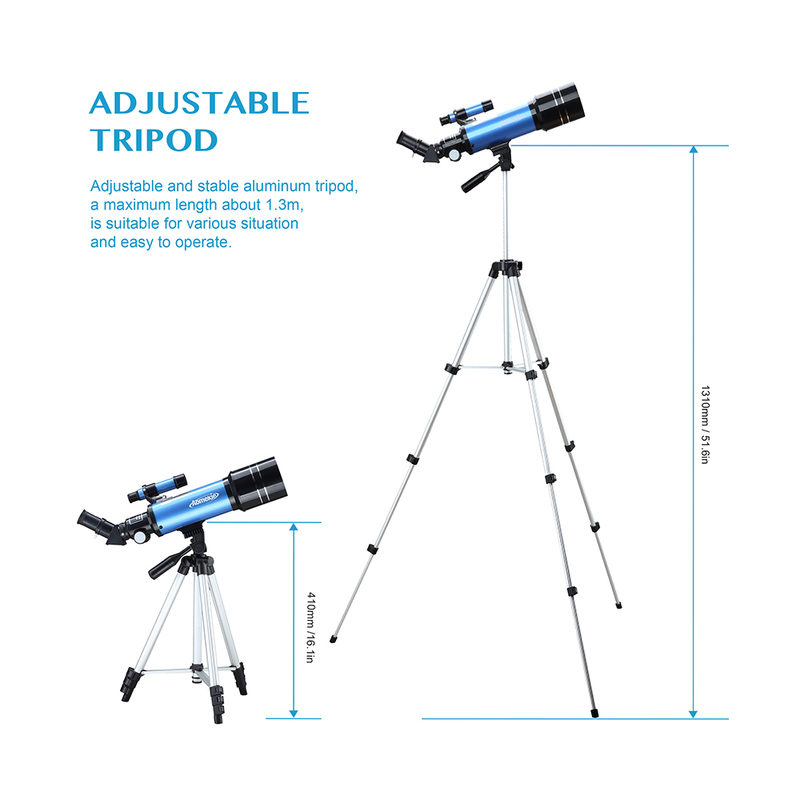 The height of aluminum tripod can be adjusted from about 15 inch to 51 inch.Assembled with castor wheel bottom of Travel Scope Telescopes that allows for many different observational positions and keep the whole tripod steady when adjusting the direction of it. 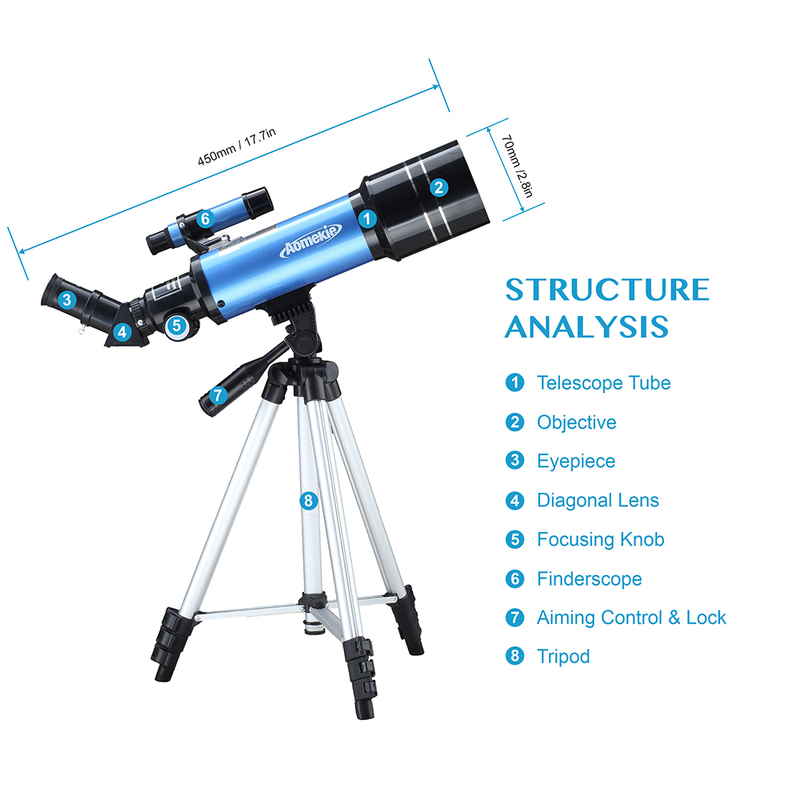 Package List：1 x Telescope tube,1 x k25mm eyepiece,1 x k6mm eyepiece ,1 x Adjustable aluminum tripod, 1 x 45 degree diagonal mirror,1 x 5X24 Finderscope,1 x User manual, 1 x Phone adapter, 1x Star target planisphere.